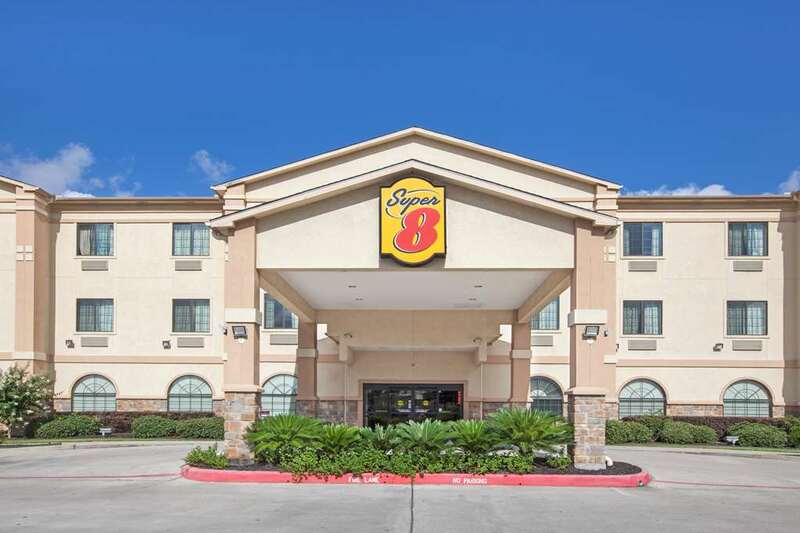 One of the top rated hotels in the Houston area by TripAdvisor, the Brand NEW Super 8 of Houston IAH West/Greenspoint is located minutes away from the Houston George Bush Intercontinental Airport and Greenspoint Business District. All rooms at our Super 8 feature microwaves, refrigerators, wireless and hard wired Internet access, alarm clock radio, hairdryer, Coffee Makers, satellite TV with HBO. Begin your day with our upgraded hot SuperStart Breakfast including waffles, sausage, biscuits and gravy. Relax in and enjoy our outdoor Swimming Pool. We also have King size room with a Whirlpool tub and some rooms have kitchenettes for families and extended stay guests. See You Along the Way FREE Coffee Travel Mug program. Your home away from home is the all NEW Super 8 of Houston. Sorry NO pets allowed. Join Wyndham Rewards and begin to earn travel points today.